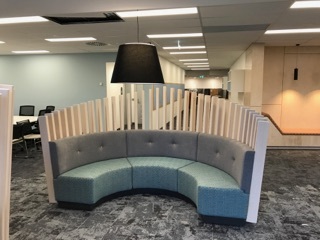 We are pleased to be able to manufacture & supply 11 x seating areas for the Southern Cross University in Coolangatta. 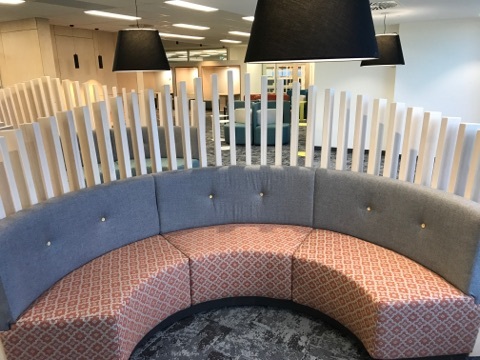 11 x Booth Seats were manufactured using ply framing & large external hardwood battens. 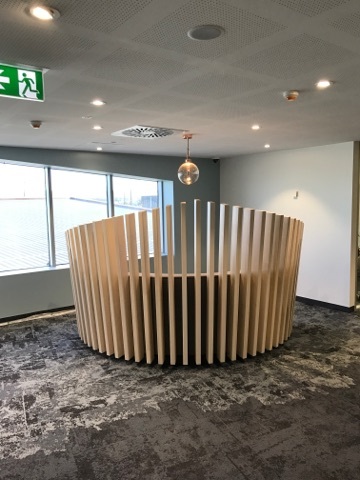 The booths were manufactured in 3 x sections were delivered to site & for easy assembling. 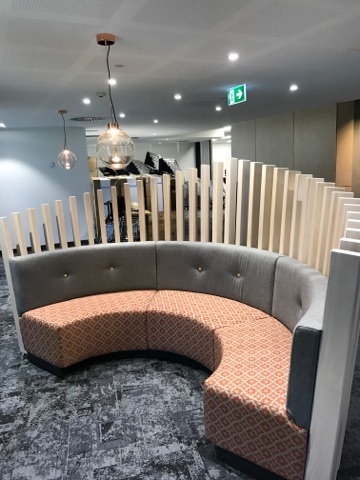 The seating was firm commercial grade foam with Instyle Fabrics covering. Decorative timber buttons were applied to the backs. A very successful project with amazing visual results.